It is difficult to argue that an easy source of cash can be counterproductive to financial health. But most people don’t really understand what a payday loan is. It only matters that they are getting the money they need when they need it. The need overtakes them and they don’t bother to do the research nor read the fine print, and this gets them into trouble come paying time. You might want to consider the good and bad side of getting a payday loan before you move forward. Payday loans are available everywhere. When you’re in a financial bind, this option is right there in front of your face. It’s easy. It doesn’t even require a good credit background. As long as you have a steady job for the last six months, you will qualify. It doesn’t require collateral for the small amounts that you will borrow. Another good thing about payday loans is that you will probably get them, even if you can’t afford it. The payday lenders are very accommodating that way. They will give you the financing that you need. Remember though, that you are required to pay them back, with interest, on your next payday. That’s what the payday loan is about. So, for example you were able to get a payday loan. Good job! You are now able to pay your medical bills perhaps or enrolled your child in school – or settled some other emergency expense that you did not foresee. I hope it is an emergency and not just an unnecessary expense that could have waited. Otherwise, your impatience might not be worth the interests and charges that you will be paying for. Since this is an unsecured loan, the interests are quite high – more than half of the loan amount. Some people think of it as worse than Usury and that it takes advantage of people’s needs. Just the other day, a second payday loan firm opened up in downtown Sudbury. It’s going to be in the corner of Elm and Durham. There was a buzz in the community and people felt that they did not need to have a second payday lender. This is how some people perceive payday loans, like it was evil. As a borrower, it is your responsibility to determine if you are capable of making a loan and repaying it. If you are unable to pay, and you have to pay humongous charges, the payday lender shouldn’t be blamed. The rules are clear when you signed the contract. They provide financial assistance, without really knowing if you are capable of paying – and in return, you pay a much higher interest. That sounds like a fair deal to me. 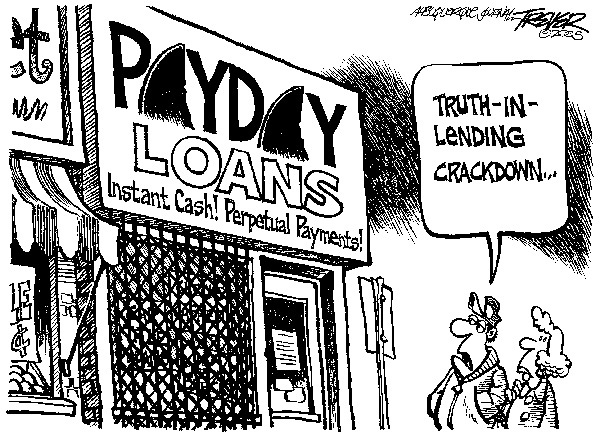 Payday lenders do not want their customers to default on their payments, simply because it’s bad for their business. They prefer to support your financial needs and earn a high interest when you pay them back. So, I don’t believe that they take advantage of people. They are merely offering an option. There is a need for their kind of service – and they supply it. The problem starts when a borrower takes out a loan that he cannot pay back on time. It’s not really a question of whether payday loans or salary loans are good or bad. You just have to fully realize what you’re getting into. 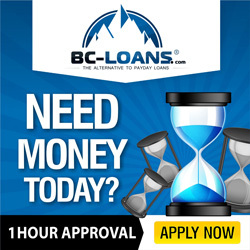 You should only resort to this loan when you have run out of options – and even then you must borrow only the amount that you can pay when the next paycheck comes. That way, you and the payday lender will both be satisfied with the transaction. They earned from the high interest, and you were able to settle whatever debt required you to borrow.